Sunrise Volkswagen in Lynbrook, NY, serving Rockville Centre and Long Beach, is pleased to offer a special discount to our brave servicemen and women through the Volkswagen Military and First Responders Program. Anyone who qualifies for the program is eligible to receive an additional $500 dollar discount on any new, unused Volkswagen vehicle. The program is a small way we like to say thank you to those who serve our community in such important ways. Proof of eligibility will be required and can include Military leave and earnings statements LES) or a Military ID card. First responders need to provide a department-issued ID card. 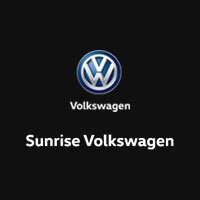 If you believe you qualify and would like to pick out your new Volkswagen vehicle today, visit Sunrise Volkswagen at 931 Sunrise Hwy, Lynbrook, NY. Our staff would love to help you apply for the program and receive your special discount. 1 This Volkswagen of America bonus amount may be used in conjunction with other Volkswagen of America National programs. 2 Volkswagen Fleet Incentive (“VFI”) and Volkswagen of America Fleet Customers are excluded from this program and are not combinable. 3 Dealer Employee Purchase Program (DEPP), Friends and Family Program, Partner Purchase Program, Contractor Program and future loyalty/conquest programs are combinable with this Program. 4 Vehicles enrolled in the 2017 or 2018 Volkswagen customer mobility program and sold as KOS 6 or 9 are eligible for this Volkswagen of America bonus. 5 Only Military and First Responders listed above or members of the immediate household are eligible for the Volkswagen of America bonus. If the purchaser is not military or the first responder the dealer will validate that the purchaser is a family member who resides within the same household through a government documentation, utility bill, or mortgage/leasing agreement (“Proof of Residency Documentation”). 6 The program is valid until January 2nd, 2019.